For any issue we detect, we check that the contributor who introduced it is a licensed user (see Clayton user licenses explained). If that's not the case, and the user is not properly licensed, we'll temporarily lock the review. 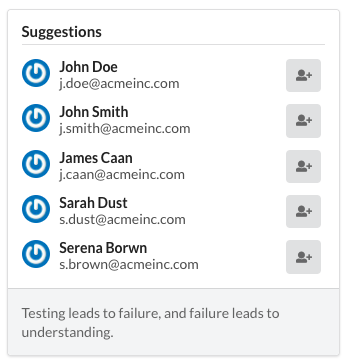 When a review is locked we’ll show a list of users to invite: as soon as they are invited a license is provisioned, the review will be review unlocked and displayed normally. My review is locked, but the author has left the organisation. 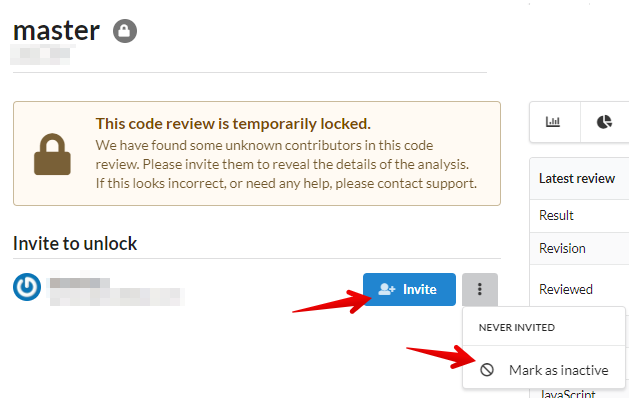 When a contributor is no longer a member of your organisation, you have the option to mark them as inactive: you will not need to license them and, as long as they don't contribute new code, all code reviews will stay accessible. In some circumstances, we might suggest inviting users that are already licensed. This happens, for example, when git commits are signed with a different email address than the one associated with the licensed user in Clayton. Users can add multiple email addresses against their account so that Clayton can map multiple aliases against the same licensed users. Have a look at the dedicated Help Article, and you need help in mapping additional aliases against a user, please contact support. My code review is locked, but the author is not displayed in the invite box. In some circumstances authors' metadata can be incorrect, and the option to invite might not be there. If this happens, contact us.